I had a real dilemma recently. I wanted the sweet, light (in texture... not so much calories), pull-apart nostalgia of sticky buns. I was also craving the ooey gooey satisfaction of pecan pie - both personal favourites. My solution? Bake the sticky buns of my youth, but instead of the classic caramel sauce on the bottom of the pan, top them with the caramel pecan pie filling I love. Pecan (fu&*ing) pie sticky buns. Why didn't I think of this earlier?! This recipe starts out familiar enough - any classic cinnamon bun/sticky bun recipe would work. I have tried many, MANY sticky bun recipes and my favourite is still Peter Reinhart's recipe from his awesome book - The Bread Baker's Apprentice: Mastering the Art of Extraordinary Bread. 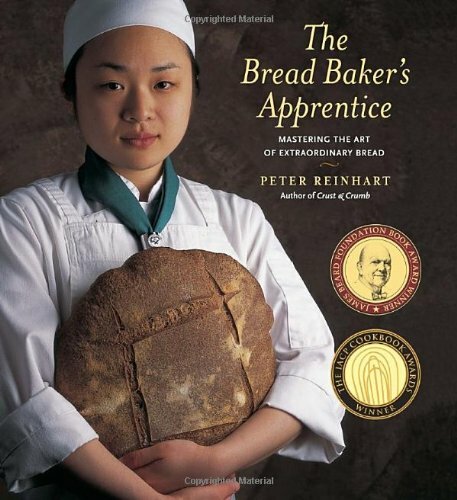 If you are into baking bread and sweets, this book doesn't disappoint and I highly recommend it. I have easily used over half the recipes, each one written for the layman. No jargon, thorough explanations. It's perfect for those of us new to baking. Because the pecan pie topping is so sweet, I opt out of coating the inside of the sticky buns with butter, sugar and cinnamon. Instead, I use a light coating of finely chopped pecans and a bit of brown sugar. This also helps move these out of cinnamon bun/sticky bun territory and into the pecan pie deliciousness we're after. While those proof, I moved onto making the pecan pie topping. A delicious combination of pecans, butter, brown sugar and cream - this is the stuff dream (and waistlines) are made of. The cooked (and slightly cooled) sticky buns are then covered in our pecan pie topping. I've found that the sticky buns are most... 'receptive' to the pecan pie filling (i.e. they will soak up the most of this delicious topping) while still slightly warm. I've also gently nudged the buns apart in the past to facilitate coating every nook and cranny with the pecan pie topping. I like this recipe for a lot of reasons - but that pecan pie topping? OMFG. It is so. damn. good. After letting the topping set for a couple hours, you're left with these. Ugh, I already want to make some more. How good do those look? They taste better. Served still slightly warm, this is hard to beat. I don't know how/why sticky buns (or sweets in general) were deemed appropriate for brunch but I'm glad we all went there. This is hard to beat on a Sunday morning. If you're interested in making these for brunch there are a couple tweaks. After shaping your sticky buns, cover them with saran wrap and refrigerate over night before baking. In the morning, take them out an hour before baking for their final proof then throw them in the oven. You'll be a brunch champion among your friends. These are also good for dessert (how I prefer to indulge in them) and lunch, supper, lupper, dinner & snacks. If I am feeling especially luxurious, I make a caramel sauce to pour over top... And by especially luxurious I mean... I ALWAYS make caramel sauce to pour over top. With one bun down and an enormous of calories in, I decided I had to share what remained with friends. After all... this blog is a how-to guide on making your FRIENDS fat. So, I decided to invite these hooligans over. I always have a blast with Taylor, Marcus and Michelle. Despite what Taylor and Marcus' reactions might suggest, they loved these pecan pie sticky buns. I urge you to judge them based on Michelle's reaction (and her reaction alone...). I had a fantastic night with these guys. Good food and good people really can't be beat. So go on, make a tray of pecan pie sticky buns and call up some friends you've been meaning to reconnect with. You won't regret it. Recipe for Pecan Pie Sticky Buns Here.